The Nichols House Museum welcomes volunteers to join the museum as weekday tour guides on a rolling basis, beginning in April 2019. Guides provide vital support to the museum by leading high-quality tours to diverse audiences and communities. Hours are flexible; training is required. Guides are responsible for coordinating their own transportation and parking. Guides receive complimentary membership to the museum as well as free admission to educational programs (member pricing extended for special programs and events). There are also regular opportunities for outings to local museums and cultural organizations. Applicants should be interested in history, architecture and decorative arts, inclusivity and social justice, and enjoy interacting with visitors of all ages. Guides typically commit to half or full-day shifts. To apply, please send a brief email to Laura Cunningham at lcunningham@nicholshousemuseum.org, applicants will then be prompted to complete an application form. 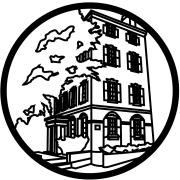 The Nichols House Museum is located at 55 Mount Vernon Street in the Beacon Hill Neighborhood of Boston, zip code 02108.